Coffee comes in many forms now (apparently), from rainbows to unicorns, people won’t stop until they run out of coffee to experiment with. Whether or not the drinks are functional is another matter entirely as coffee artists are more focused on making beverages that are more of an “experience” than a regular morning cup. If that’s your thing, then stick around for some truly crazy creations made with glitter. While it might be edible (and admittedly beautiful), the sparkly treat is being hailed as too pretty to drink. The fanciful versions are covered in wide ranges of different types of glitter. 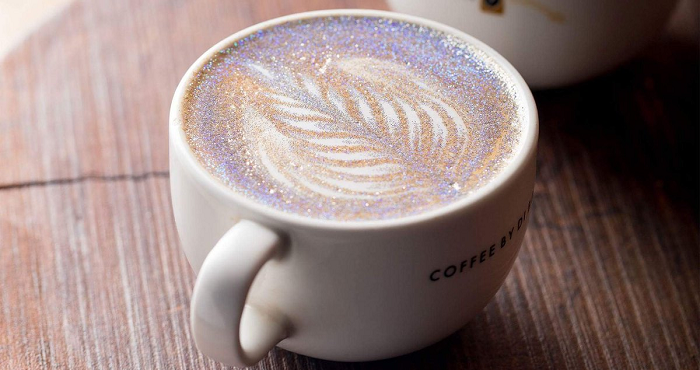 Holographic, gold, silver, or multicolored glitters are sprinkled across cappuccinos in a fanciful show of magic and wonder…but it’s confusing. It’s pretty, but it just doesn’t look delicious. 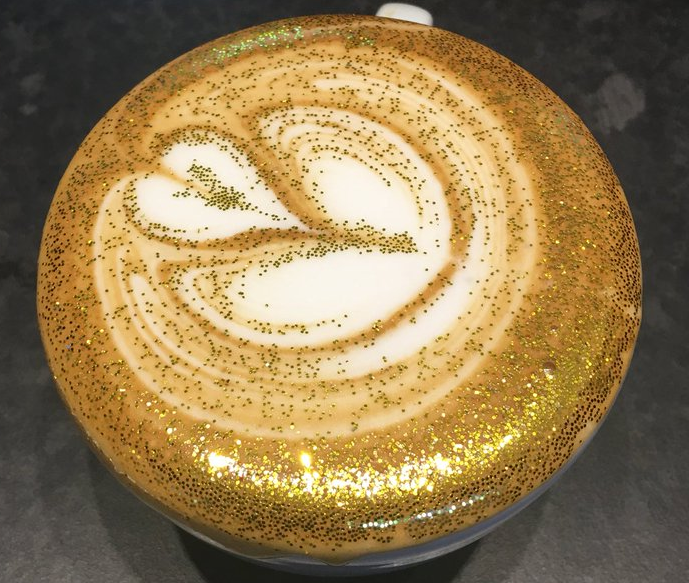 For example, this gold cappuccino creation might shine like a thousand suns, but the actual glitters used just look…sharp. And painful. 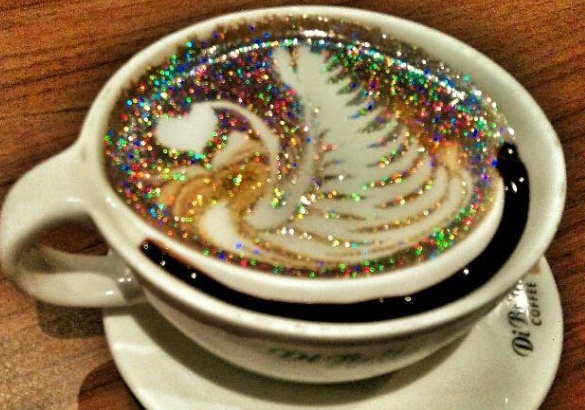 Would YOU try a glittery cappuccino? Some glitter may be edible, but it definitely doesn’t dissolve after being eaten…We don’t want to think too hard about the aftermath of a treat like these glitter coffees.